My friend Lorna designed today's card. She designed it for our demonstrator event in August. 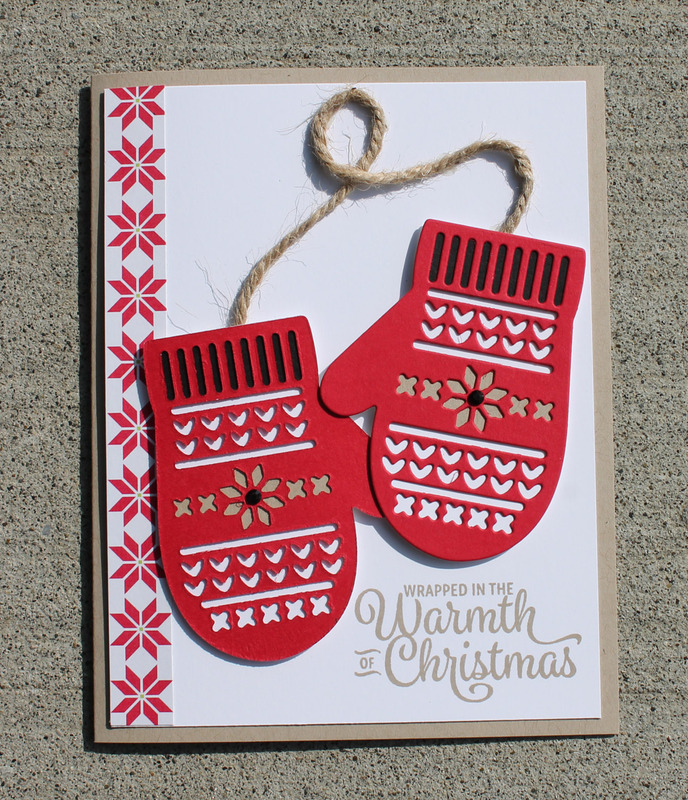 Such a great card to showcase those adorable mittens from the Smitten Mittens stamp set. Designing a card can sometimes take more time than actually creating multiples. I know I've said this before but once you find a design you like try altering it slightly instead of creating a whole new card. This could mean changing out the focal point, the colors or even just altering it from a portrait to landscape card, like I've done here. By simply adjusting the layout, it gives the card a different look. So fun. I just love the details on this mitten thinlit! 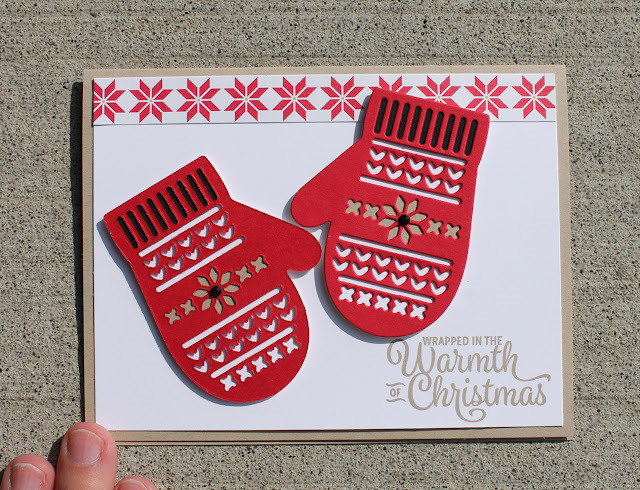 And the addition of the black, white and crumb cake peeking behind the mitten really adds to the details of the card. Spend $50 (before shipping & tax) using host code B379EYVP and you'll receive these two card kits along with a thank you card as a thank you from me! Visit my online store.